Hi. 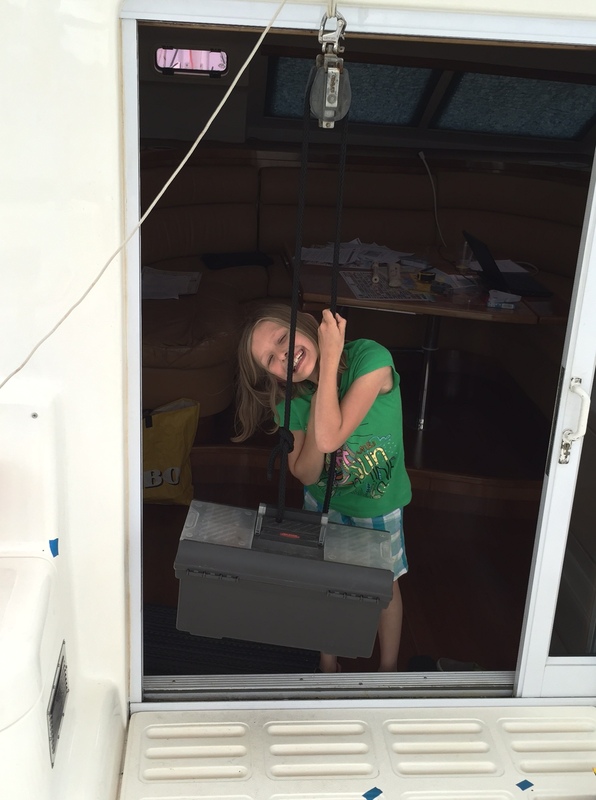 I did homework on my family’s boat for the first time and learned about pulleys and gears. I hung a rope attached to a heavy toolbox on the bar above the door to go in. Before I did that though I lifted the toolbox by itself once. But anyway after I lifted it I put the rope over the bar and pulled down. my dad and I found a pulley and I used that once. But I found out that the clip on the pulley was too small to fit around the bar, and I had to use some rope to extend the clip. So, I made a loop and hooked it onto the bar and the clip. I tried that once. It was a lot easier to use the pulley than when I lifted it straight up and when I put the rope over the bar without the pulley. I learned it is easier to use a pulley than lift it straight up.That is what I learned that day. Hi Betty. I heard your story on the radio yesterday and it got me very excited. My family live in Ottawa and my daughter Evelyn is nine too. I plan to show her your blog and your family blog and my hope is that together we will follow your journey. Best of luck to you and your family. Thanks for our note, Mary. Betty was very happy to hear from you. Betty enjoys writing and reading. Hi Evelyn – thanks for following us! Just keep that for next time you`re using pulleys. I liked reading your blog entries! Evelyn also suggests the book series Guardians of Ga’Hoole and Wings of Fire, both have kept her occupied for hours.